By Jeanie Lang. 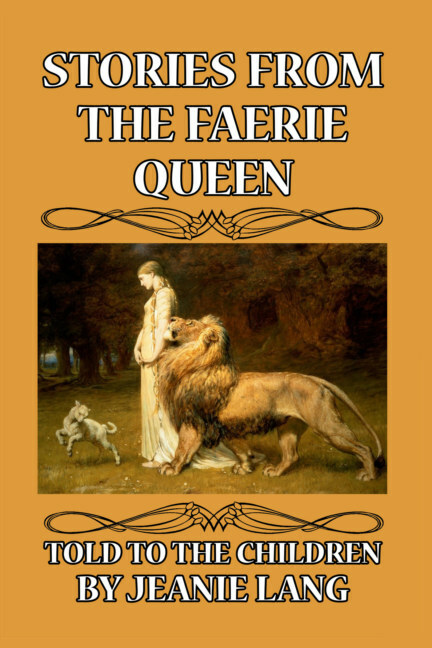 A masterful retelling of the major stories contained in Edmund Spenser’s classic English epic poem, The Faerie Queen. This work is based on the original 1590 book which is one of the longest poems in the English language. 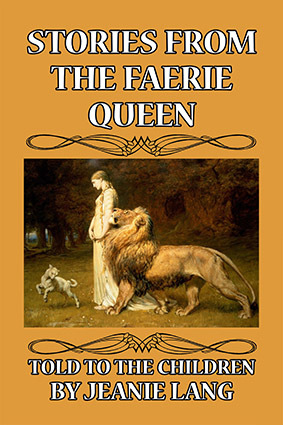 This edition, aimed primarily at younger readers, takes on the form of a more conventional book, and includes many of the classic stories which have achieved almost legendary status, such as the story of St. George and the Dragon, and Una and the Lion. It is a vital work for anyone seeking a well-rounded classical education. This version has been completely reset and hand-edited and contains all the original illustrations by Rose Le Quesne. Cover illustration: Una and the Lion, by Briton Rivière. About the author: Jeanie Lang was a turn of the twentieth century Scottish author who was introduced to the literary world by her uncle Andrew, who was the first to translate The Odyssey into English.